Lets get one thing straight… no matter what mortgage company you work with, banker, broker, direct lender all mortgage loan qualifying is the same. Fannie Mae and Freddie Mac and HUD have the same guidelines across the board, with small subtle differences from company to company. There is only one bond market and mortgage rates across the board are influenced by the buying and selling of mortgage funds. 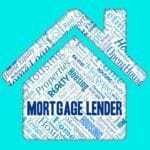 Put another way, all mortgage lenders have access to the same loan programs and the same interest rates. That said whether buying a house or refinancing a mortgage, getting a home loan today is downright challenging and for some, it can be not fun. The reason why it’s somewhat tedious is due to the fact that the end investors, big bond companies like PIMCO along with Fannie Mae and Freddie Mac in the secondary market, want little risk with a high probability of return for a sustained period of time. 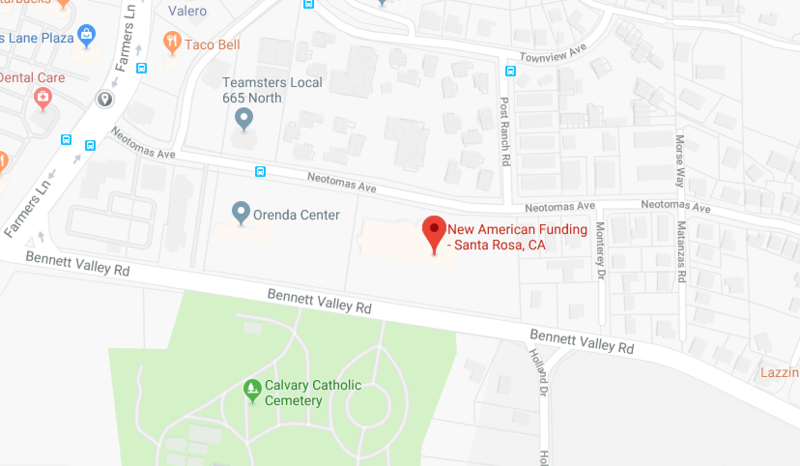 If an originated loan does not adhere to strict criteria the loan cannot be sold in the secondary market and that mortgage company is stuck with offloading that loan at a haircut. As a result, loan underwriting is black-and-white. There really is no grey area in today’s credit market for buying a house or refinancing a mortgage, unless you’re looking to government financing. We know getting a home loan for buying a house or refinancing a mortgage is going to require all financial documentation. To put together a good loan, a loan that will actually fund, you and your loan officer have to make sure you go over the complete transaction, including all the faucets of the loan structure. Credit Scores need to be at the minimum 620 or better for conventional loan financing, 640 or better for government financing. This is that black and white. If your credit score is 619 you are ineligible for financing, just as you are if your credit score is 639 and you’re looking for a government fixed-rate loan. The solution? Ask the mortgage company you’re working with how to improve your credit score. Most loan officers have a general idea of how to improve your credit score. Additionally, you can ask them for a recommendation to a good credit repair company if such credit repair is needed. Gross Monthly Income is the anchor component of your ability to repay.Yes a home loan is made against your ability to repay that debt. Are you self-employed? If yes and your a sole proprietor, lenders will go off of your Schedule C. income for the last two years and give you the benefit of adding back expenses. If you are W-2’ed employee, do you take 2106 business expenses on your federal income tax return? If you, this will have to be reduced from your gross monthly income for loan qualifying. Are you an hourly employee? If yes you take your rate per hour of full-time schedule 8 hours a day of 40 hours a week four weeks a month and that’s your gross monthly income. Monthly Revolving Debt is used for mortgage qualifying. More specifically, mortgage lenders will factor in the monthly debts you’re obligated to pay on a monthly basis. This includes credit cards, auto loans, personal loans, student loans, child support, alimony, and a current house payment if you own a home already. Let’s say you have a monthly revolving credit card, based off your credit report your minimum monthly payment is $40 per month. Lenders will use this minimum monthly payment as a monthly debt that needs to be accounted for when factoring in your total mortgage payment. If you pay more than the minimum, that’s good because you can get out of debt sooner, but that doesn’t do anything for reducing the minimum monthly payment for a long qualifying unless the credit card is paid off in full. Debt To Income Ratio is considered to be one of the most important factors when buying a house or refinancing a mortgage because it is the highest level of risk a mortgage lender makes when giving a home loan next to credit history. Lenders want to know one thing “Will the total new house payment be more than 43% of the borrower’s monthly income combined with the other monthly payment obligations?” If the answer is yes and the debt to income ratio exceeds 43%, that does not necessarily mean you cannot secure a home loan. In fact many times you can secure mortgage financing with a higher debt to income ratio. It just means that securing a mortgage loan approval might take a bit longer, than otherwise planned. Assets are referred to as the money you have saved up liquid in the bank for reserves. Most mortgage applications require at least two months of reserves in the bank. This can be in the form of a checking account, savings account, money market account, or even a retirement account. Not all mortgage loan programs require assets. For example government loans have no minimum asset requirement. This will depend on the mortgage loan program that you’re looking at. It might make more sense to look at government financing than conventional financing, other times vice versa.  Down Payment/Equity down payment and equity are virtually one and the same. If you’re the process of securing a refinance loan. It has to do with your loan to value. That is the new loan amount and its relationship to the appraised value of your home. Recently, the Making Homes Affordable Program, made a change to allow a zero loan to value restriction. If you are the process of buying a house or will be down the road, your equity is considered to be your down payment. Maybe it is 3.5% on an FHA loan, or its 5% down on a conventional loan program, it might even be zero money down if you’re buying in a rural residential area. Whatever your down payment or equity position is, the lender will underwrite based on the appropriate guidelines. So that’s all that mortgage lenders look at when buying a house or refinancing a mortgage? Unfortunately no, that is the framework lenders look at. They also look at these other things and make credit decisions based upon these other characteristics. *Large deposits into a bank account, independent of the normal flow of income from employment. Lenders will question this income. *Unsourced assets. If you provide a lender, bank statements from XYZ account, then you send money into escrow from another account the lender has no knowledge of. You will be asked provide an explanation, at the least, a bank statement showing where those funds came from. * Gift funds will require a signed gift letter from the giftor as well the bank statement from that individual showing they have the ability to get that money. *Appraisal comparables. The lender will also review the appraisal report to make sure the house you are financing is truly valued at that price. They do have the right to question the appraisal and/or ask for additional property comps. In some rare cases, they can require a second appraisal. This however, is rare. If there is anything about your mortgage loan qualifying that you think a mortgage lender will likely ask about, be rest assured they will find it. 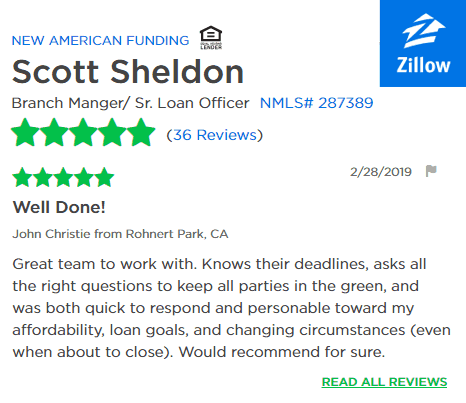 In many cases, a sharp loan officer will be able to help you navigate around some of the challenges in today’s credit market. Every potential refinance borrower or home buyer wants to secure the lowest interest rate, that’s a given. In most circumstances no mortgage loan is ever a guarantee. Home loans as we just learned, are made up of several different variables and each of those variables have to come together to fit the puzzle. So while interest rate is important, qualifying is a bigger concern and should be the concern of every borrower looking for financing in today’s market. Make sure you can qualify for a home loan, and then focus on interest rate. Line up your qualifying ability today with us online. If you are refinancing a mortgage or buying a house, remember all the guidelines remain the same across the board.